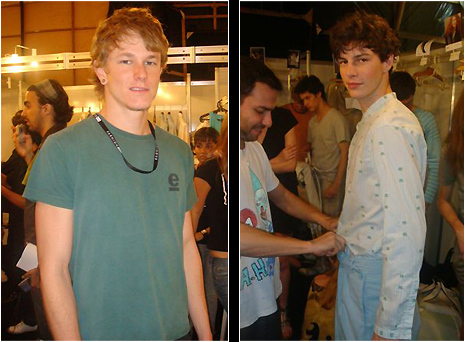 I could not go to Rio to cover the shows last week, but thanks to my friend Serginho here are pictures of the boys backstage. The São Paulo spring shows start tomorrow, and I will be covering the action live. Expect fashion reviews, videos, and more pictures. A list with the models' names is after the jump. Henzo Hülle got a new look with shorter hair just in time for the men's shows (and I hear it was suggested by Steven Klein). 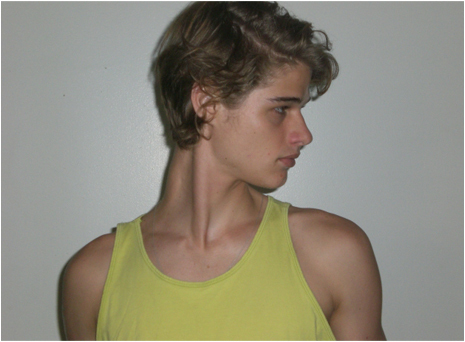 Pictures courtesy of Ragazzo Model Management. The shows in São Paulo are a month away, but I am already placing my bets on Henzo Hülle. 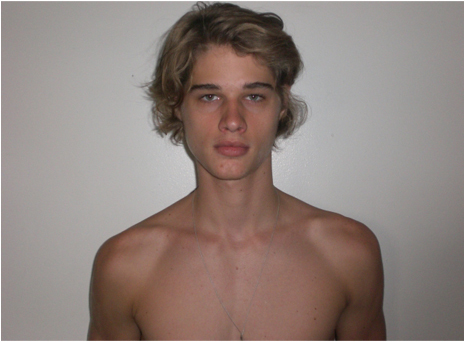 Below is his new comp card for the season, from Ragazzo Model Management. 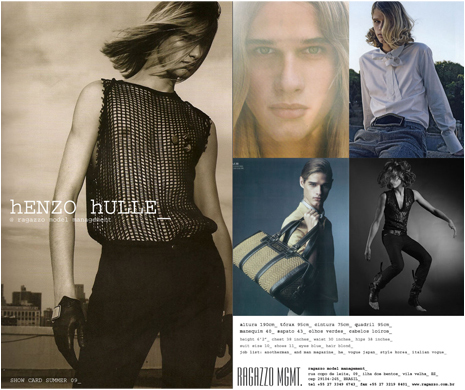 Brazilian Henzo Hülle just switched agencies, and is now with DNA in New York. Pick up the phone and book this kid now. 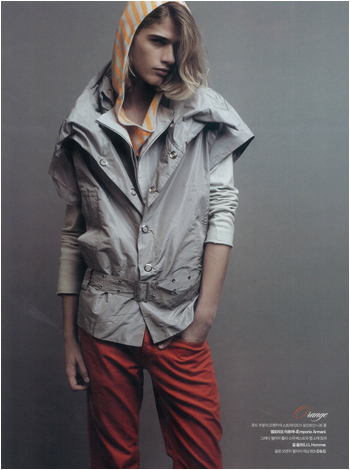 Picture from South Korean Lux Magazine, thanks to Ale of Ragazzo Model Management.